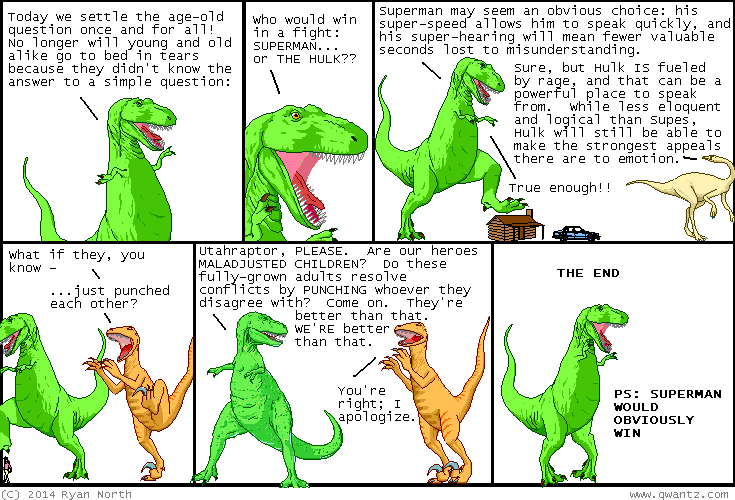 Dinosaur Comics - June 4th, 2014 - awesome fun times! June 4th, 2014: UPDATE TO YESTERDAY'S COMIC: apparently those of us who share a commitment to the truth about Cinderella are called "shoe-thers"? ?